This week, final hearings began in Chennai, India, in the appeal that German pharmaceutical company Bayer has filed against India’s first-ever compulsory licence (CL). In a related development, India is currently identifying other patented drugs on which CLs are needed. The patent on the cancer drug sorafenib tosylate (marketed as Nexavar) was granted to Bayer in March 2008. Generic company Natco applied for a CL in July 2011, which was granted by the Indian Patent Controller in March 2012. The CL allows a more affordable version of sorafenib tosylate to be produced and marketed, and brought the price of the patented drug down from over US$5,500 per month to $175 per month - a reduction of 97 per cent. Under the terms of the compulsory licence, Bayer is being paid a six per cent royalty on sales by Natco. In their appeal, Bayer have argued that the Patent Controller erred in the decision to grant a compulsory licence, and should have allowed the company more time to ‘work’ the patent, over and above the three years entitled under law. Indian CL provisions require a generic competitor to wait three years after the grant of a patent before an application for a licence to market a more affordable generic version can be filed. In the hearings, Natco is currently defending the Patent Controller’s decision before the Intellectual Property Appellate Board (IPAB). India’s Controller of Patents deemed that Bayer had failed to price the drug at an affordable level and had made insufficient efforts to make the medicine available. The hearings, which are being held in Chennai, are expected to conclude next week. In a related development, an expert committee established by the Indian Ministry of Health has recommended that the government consider issuing CLs on three other cancer drugs - trastuzumab, ixabepilone and dasatinib. The three drugs are patented in India and cost approximately Rs. 70,000 (US$1,290) per vial, Rs. 60,000 ($1,110) per vial and Rs.2,700 ($50) per tablet, respectively. The Department of Industrial Policy and Promotion is now expected to formally implement the recommendations of the Committee. 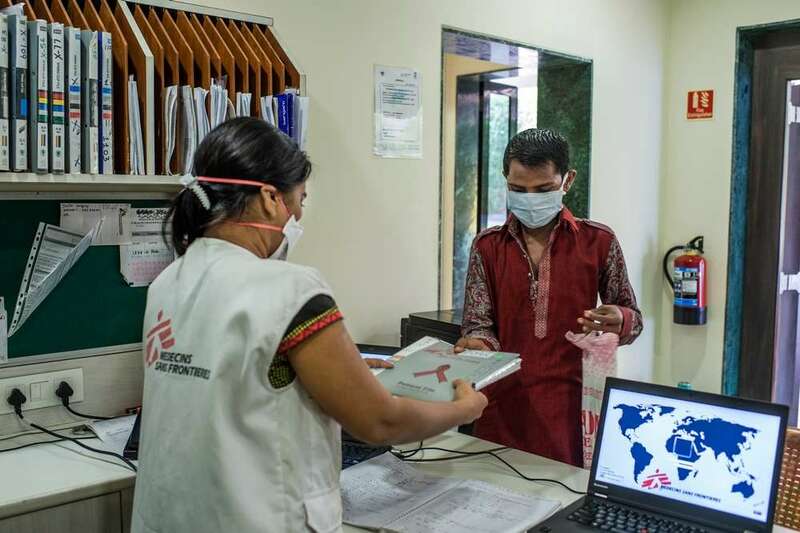 Médecins Sans Frontières/Doctors Without Borders (MSF) welcomes the steps the Indian Ministry of Health is taking to identify patents on drugs that are exorbitantly priced and face no generic competition. Eight years after India amended its patent law to implement the international trade rules enshrined in the TRIPS agreement, new medicines, including drugs to treat HIV and hepatitis, are now patented in the country and are too expensive and unavailable for those who need them most. MSF’s Mumbai clinic pays as much as US$1,775 per person per year to access just one patented drug for HIV, raltegravir, for example. MSF hopes that India will continue to use all the means at its disposal – including compulsory licences – to address patent barriers and bring down high prices on the medicines that are vital to many in India and the developing world.